For the Bollywood film of the same name, see Kshatriya (film). Kshatriya (from kshatra, "rule, authority") is one of the four varna (social orders) of the Hindu society. The Sanskrit term kshatriya is used in the context of Vedic society wherein members organised themselves into four classes: brahmin, kshatriya, vaishya and shudra. Traditionally, the kshatriya constituted the ruling and military elite. Their role was to protect society by fighting in wartime and governing in peacetime. 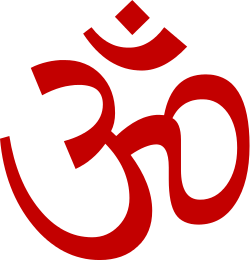 The Prakrit derivative of Kshatriya is "Khatri". The administrative machinery in the Rig Vedic period functioned with a tribal chief called Rajan whose position was not hereditary. The king was elected in a tribal assembly, which included women, called Samiti. The Rajan protected the tribe and cattle; was assisted by a priest; and did not maintain a standing army, though in the later period the rulership appears to have risen as a class. The concept of fourfold varna system was non-existent. The later addition of the hymn Purusha Sukta to the Rig-veda describes the mythical history of the four varna. Some scholars consider the Purusha Sukta to be a late interpolation into the Rig-veda based on the neological character of the composition, as compared to the more archaic style of the vedic literature. Since not all dark-skinned Indians was fully regulated under the varna in the vedic society, the Purusha Sukta was supposedly composed in order to secure vedic sanction for the heredity caste scheme. An alternate explanation is that the word 'Shudra' does not occur anywhere else in the Rig-veda except the Purusha Sukta, leading some scholars to believe the Purusha Sukta was a composition of the later Rig-vedic period itself to denote, legitimise and sanctify an oppressive and exploitative class structure that had already come into existence then. Gautama Buddha was born into a kshatriya family. Jaiswal points out the term Brahman rarely occurs in the Rig-veda with the exception of the Purusha Sukta and may not have been used for the priestly class. Based on the authority of Panini, Patanjali, Katyayana and the Mahabharata, Jayaswal believes that Rajanya was the name of a political people and that the Rajanyas were, therefore, a democracy (with an elected ruler). Some examples were the Andhaka and Vrsni Rajanyas who followed the system of elected rulers. Ram Sharan Sharma details how the central chief was elected by various clan chiefs or lineage chiefs with increasing polarisation between the rajanya (aristocracy helping the ruler) and the vis (peasants) leading to a distinction between the chiefs as a separate class (raja, rajanya, kshatra, kshatriya) on one hand and vis (clan peasantry) on the other hand. The term kshatriya comes from kshatra and implies temporal authority and power which was based less on being a successful leader in battle and more on the tangible power of laying claim to sovereignty over a territory, and symbolising ownership over clan lands. This later gave rise to the idea of kingship. In the period of the Brahmanas there was ambiguity in the position of the varna. In the Panchavimsha Brahmana (13,4,7), the Rajanya are placed first, followed by Brahmana then Vaishya. In Shatapatha Brahmana 13.8.3.11, the Kshatriya are placed second. In Shatapatha Brahmana 1.1.4.12 the order is—Brahmana, Vaishya, Rajanya, Shudra. 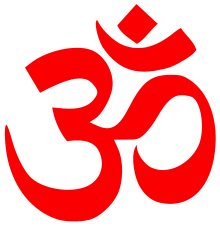 The order of the brahmanical tradition—Brahmana, Kshatriya, Vaishya, Shudra—became fixed from the time of dharmasutras. 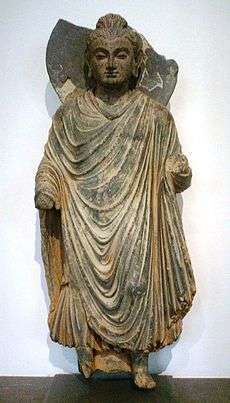 The kshatriya were often considered pre-eminent in Buddhist circles. Even among Hindu societies they were sometimes at rivalry with the Brahmins, but they generally acknowledged the superiority of the priestly class. The kshatriya caste constituted an aristocracy but were not always necessarily wealthy. Kings usually belonged to this caste and it was considered their duty (dharma) to acquire a knowledge of weapons in addition to cultivating their aptitude for command and good governance. The science of weaponry (dhanurveda) was one of the 13 branches of learning which every educated kshatriya male was expected to study. Both the king's suite and the army were naturally recruited from among this caste but not every kshatriya exercised a military calling. Many kshatriya were authorised to take up a craft or trade rather than gaining their living as professional warriors. These families still retained the privileges accorded to their caste however, which included special forms of marriage which were their prerogative. In one of these, the man was allowed to carry off the woman for his bride, and the other consisted of a competition for a bride in which the chief event was an archery contest. Arjuna, Rama, and Siddhartha Gautama all won their consorts in such tournaments. In rituals, the nyagrodha (Ficus indica or India fig or banyan tree) danda, or staff, is assigned to the kshatriya class, along with a mantra, intended to impart physical vitality or 'ojas'. The Vedas do not mention kshatriya(or verma) of any vansha (lineage). The lineages of the Itihasa-Purana tradition are: Suryavanshi (solar line); and Chandravanshi (lunar line). There are other lineages, such as the Agnivanshi, in which an eponymous ancestor rises out of Agni (fire), and Nagavanshi (snake-born), claiming descent from the Nāgas. The Nagavanshi, not attested in the Itihasa-Purana tradition, were Naga tribes whose origin can be found in scriptures. There existed Nagavanshi rulers, such as the Chotanagpur Maharaja, originally said to be of Munda origin. The clan holds snakes to be sacred and had marital relations with Gurjars for many centuries. ↑ Hari Singh Nalwa, "champion of the Khalsaji" (1791-1837). 2009. p. 21. ↑ Sharma, Ram Sharan (2005). India's ancient past. the University of Michigan: Oxford University Press. pp. 110–112. ISBN 9780195667141. ↑ David Kean (2007). Caste-based Discrimination in International Human Rights Law, p. 26. Ashgate Publishing Ltd.
↑ Jayantanuja Bandyopadhyaya (2007). Class and Religion in Ancient India, pp. 37–47. Anthem Press. 1 2 3 4 5 Kumkum Roy (2011). Insights and Interventions: Essays in Honour of Uma Chakravarti, p. 148. Primus Books. ↑ Turner, Sir Ralph Lilley; Dorothy Rivers Turner (January 2006) . A Comparative Dictionary of the Indo-Aryan Languages. (Accompanied by three supplementary volumes: indexes, compiled by Dorothy Rivers Turner: 1969. – Phonetic analysis: 1971. – Addenda et corrigenda: 1985. ed.). London: Oxford University Press,. pp. 189–190. Retrieved 23 October 2011. ↑ Radhakrishna Choudhary (1964). The Vrātyas in Ancient India, Volume 38 of Chowkhamba Sanskrit studies, p. 125. Sanskrit Series Office. ↑ Ram Sharan Sharma (1991). Aspects of Political Ideas and Institutions in Ancient India, p. 172. Motilal Banarsidass Publications. ↑ Reddy (2005). General Studies History 4 Upsc. Tata McGraw-Hill Education,. pp. 78,79,33,80,27,123. ISBN 9780070604476. ↑ Upinder Singh (2008). A History of Ancient and Early Medieval India: From the Stone Age to the 12th Century, p. 202. Pearson Education India. 1 2 3 Jeanne Auboyer (1965). Daily Life in Ancient India. Phoenix Press. pp. 26–27. ISBN 1-84212-591-5. 1 2 3 4 Indian History: Ancient and medieval, p. 22. Volume 1 of Indian History, Encyclopaedia Brittanica (India) Pvt. Ltd, 2003. ↑ Omacanda Hāṇḍā. Naga Cults and Traditions in the Western Himalaya, p. 251.